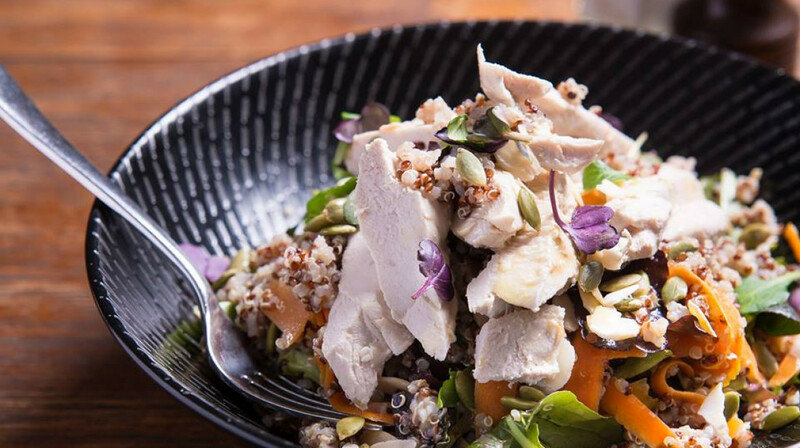 Conveniently located on Manly’s famous South Steyne, Bluewater Cafe is a moment from the beach (sandy feet welcome), a stone's throw from the bustling Corso and just a short hop to the Manly Ferry. We all enjoyed our food and the service was excellent. Very kid friendly. Thank you, we will come agan. Friendly staff and nice food. 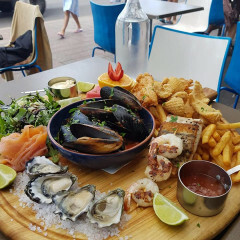 Seafood platter was delicious. Very happy with First Table and this booking! The Barramundi and Squid where excellent! Good food, good service, had a nice night! Happy friendly staff, million dollar location and everything comes quick and fresh out of an obviously well-equipped kitchen in plain view at the back. Only mild criticisms are that it's an upscale restaurant with a rather ordinary menu which includes hamburgers. My caesar salad with smoked salmon was delicious but a bit pricey at $33 but other than price and limited menu Bluewater is a great experience. An easy & pleasurable dining experience. 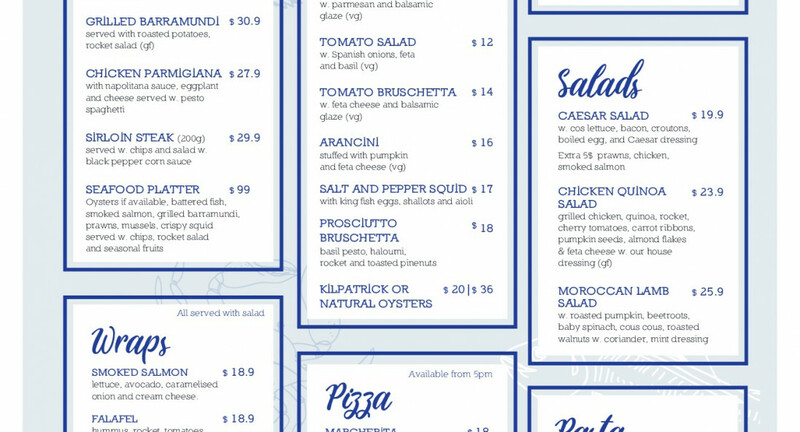 Now they’ve changed the menu back to offering more than pizza, pasta & burgers, will be happy to go there time & time again. Great food but initial service was a bit slow. Very basic tables and seating but food was great although a bit pricey. Wonderful experience with our 1st First Table booking. The menu was not edited to accommodate the discount and the food was beautiful. The staff were very friendly and the service was quick. The restaurant overlooks Manly beach, so we had a lovely setting also. Would HIGHLY recommend the Seafood Platter, which would easily feed 3 to 4 people ... very fresh and beautifully cooked. Good choice for families with smaller kids. Great location, beachside at Manly. Good choice of entrees available. Great for families and couples or groups. Good vibe. Staff are available and helpful. Great experience and the food was delicious! It’s awesome the best seafood plate! I loved the setting of Blue Water - overlooking Manly beach at sunset. 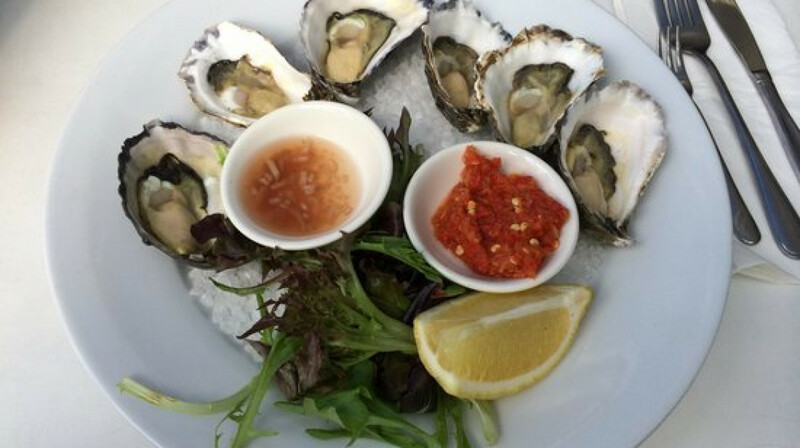 We shared the fresh oysters and crispy squid to start - for mains I had the grilled barramundi and salad - delicious !! The service was great and we thoroughly enjoyed our evening. Very good food and amazing service. Thank you, we will come again. Absolutely fine. Just got caught out with the change in the menu. Now only offering pizza, pasta & burgers. Nothing to complain about with what we had served. Service no problem either. Didn’t think to check menu as dined there previously. The food was good, pasta was a little bit dry but very taste. Falafel burger were amazing! The staff were amazing and very friendly. It was very quick too. I would came back to try other dishes. Pizza and burgers v poor. We went on a cold miserable night. I think it would be a lovely cafe to go to for breakfast or lunch. It is opposite the beach and is very reasonably priced and has various food options, to please all of the family. The staff are very friendly. New menu. Really nicely priced to be kept low. Did miss my old favorites off the menu. Food just average. A lovely evening with good food and a warm environment on a cold winters night in Manly. Food was really delicious and good options on the menu catering for all. This was a perfect choice for a relaxed meal with the ocean surf a thong-throw away. It is casual cafe style eating, the food servings generous and the table service friendly. It was just two of us dining, one went Barramundi, the other steak. The mushroom sauce on the steak was a bit overpowering, this was the only criticism. Dessert was excellent - all in all great value from First Table if you are looking for a casual dining experience. Food was tasty and the service attentive and friendly. Prices seem to have increased quite a bit though. The food and service was quite good, had the seafood plater for two and asked for the chips to be changed to sweet potato chips which was very nice. 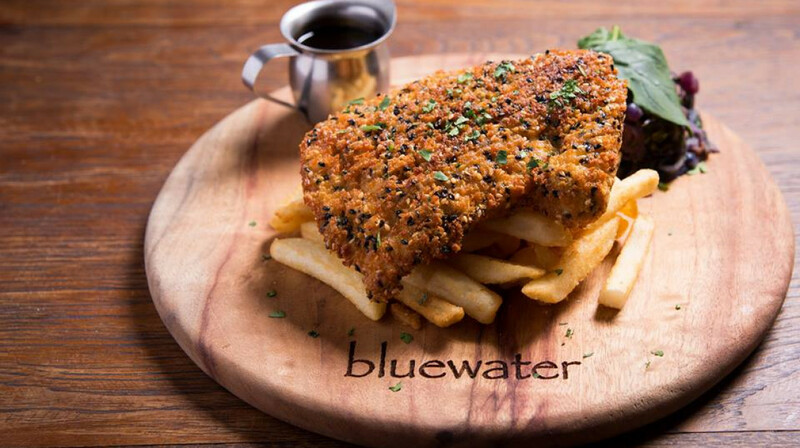 We really enjoyed our dinner and experience at Bluewater restaurant. The menu had a great variety to choose from and the food was well presented and delicious. The service was also very good. We thoroughly enjoyed it. Thanks Bluewater. Great good, good selection and variety, great service and location! Was a quick dinner before heading to the Ferry for Vivid, 3 out of 4 meals were great the service was with a smile and prompt. The espresso Martini's were delicious and we all had a lovely time and will certainly be back. Had a lovely meal. Good size portions. Tasty ribs. Our French waiter was superb, very attentive and went above and beyond. Thank you. Terrific experience. Very welcoming and delicious meals. Thank you! Food & service were excellent. The staff is extremely friendly and attentive. Very impressed. 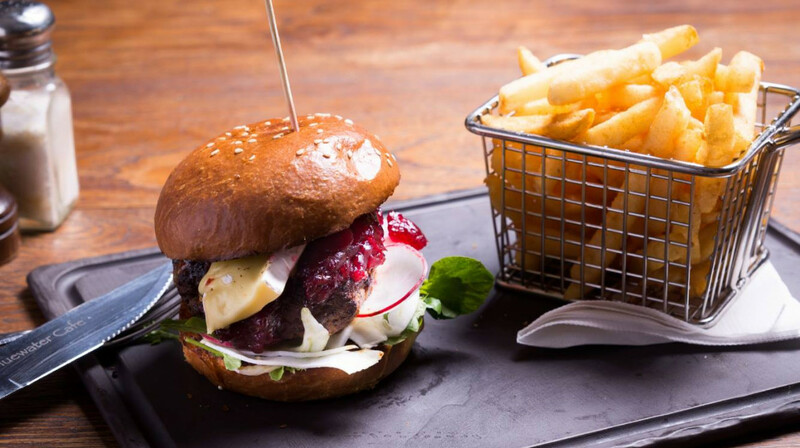 Salmon Barramundi Burger & Nachos. Great meal had by all - kids & adults! Excellent food with excellent service! Good cafe style food. Generous portions. Great food, I had the Barrumundi with crunch as a main which was delicious! Cocktails here are great and not overly expensive either, around the $12 mark. Was a good feed after a hard day at work. Got to sit back and enjoy the view right on the beach front. Had a very pleasant evening at the bluewater cafe. Our waiter recommend the baramundi which turned out to be excellent, both in taste and presentation. Husband had the steak, he also was impressed. Would definitely return and recommend to anyone seeking good food in a relaxed place to eat. Food & service was excellent with a stunning view of Manly Beach. We had a lovely evening at Bluewater, meals were delicious and service was great. Great place to eat situated right across the road from the beach. The staff are eager to please and the food was great. Had the seafood platter and prawn pasta. There are no hidden surprises as everything on the menu is on the First Table offer including seafood. Very enjoyable meal.